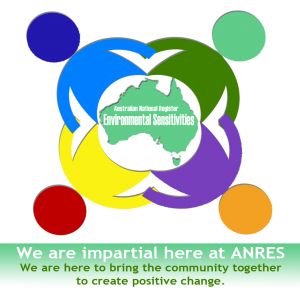 We hope that you will register on the site to show your support for the Environmental Sensitivities project. Your presence on the ANRES site may assist individuals in finding the right support group for them. Once you have registered your support for the project we hope to provide you with feedback that should assist with your future projects, submissions or lobbying. Politicians and Institutions will rarely take action on issues without supporting data.